USA 87 El Salvador 27 to get back to the World Championship and the chance to avenge their loss. 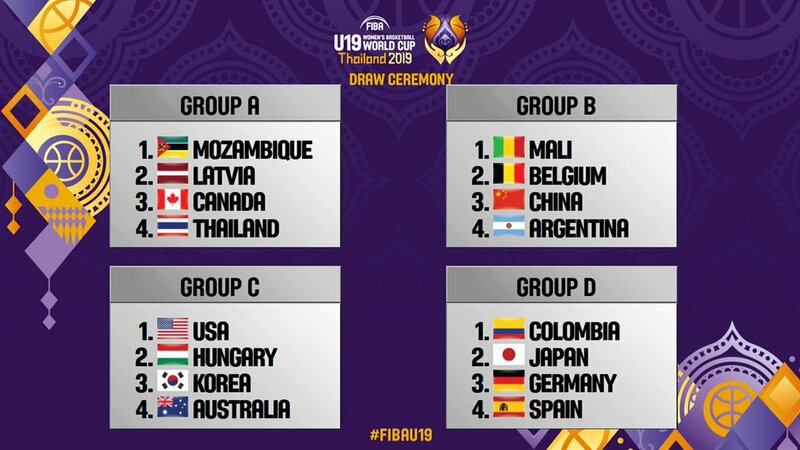 The other three qualifiers are Canada, which beat Chile 98-52, Colombia, which beat Puerto Rico 85-58, and Argentina, which beat Mexico 89-62. The USA semifinal is supposed to be at 6:30pm ET on Monday, but there is no link on YouTube yet. Close for a quarter again, but the United States wins 84-60. Argentina 62-52 over Colombia for the bronze, Puerto Rico beats Chile 61-54 for 5th, and El Salvador is last after losing to Mexico 83-61. Europe finished their tournaments today. Germany upended a weaker than usual Spain team to win the title in Italy. Hungary, Latvia, and Belgium also qualify for the world championships which means that Russia almost certainly will not get the chance to defend their title. France is also out unless they host. Sweden and Slovenia were relegated first and then Ireland was not able to survive against Bosnia. Division B was in Austria and Lithuania beat Belarus for the title and Israel joined them in securing promotion. Incoming Oregon Duck Nyara Sabally was the MVP of the Finals. Africa is not finished, but the winners in Maputo today qualified for next summer's festivities. Mali rolled past Rwanda as expected, but it was quite a close game between the traditional rivals as hosts Mozambique edged Angola. She is going to be huge for Oregon. I actually think she'll be the best freshmen in WCBB this upcoming season. The Asian Championship was just played. South Korea shocked Australia to grab a spot for next summer and then Japan beat China for the other direct semifinal berth. Australia beat New Zealand to take a spot and then China beat Taiwan for the last spot. The race for the championship was exciting as Japan beat Australia and China beat South Korea, avenging their group loss in the final to win. Malaysia was relegated and India was promoted, which will be important for future tournaments. I'll go out on a limb and predict that more USA U19 players will come from last year's U17 team than the U18 team. I see both Bueckers and Fudd being starters.